Today is the last day of the month and perhaps if I don't have anything to write aside from this, this will probably my last entry for the month of April. And we know tomorrow is the fifth month and close to half way through the year. As I said on my previous blogs, time is really fast and it won't be a surprise that when we reach the "ber" month, once again we will hear some Christmas songs played on the radio. And that is just more than anticipation. More than we know that aging is really part of evolution. I was in the Department of Foreign Affair this morning in hope that I can get my passport on time as it was said in my slip that renewal of my passport was due today. Unfortunately I was not able to get it. And to cut the story short, there was a delay of some passport release. I just thought something was wrong because I was sent to the Director's Office the moment when the releasing officer checked the status of my passport in the computer. Disappointingly, I left the building empty-handed. Prior to going to the DFA, I had a glimpse of my photo shot in billboard sign at Edsa, in GMA-7's building, for the docu-film "Landas". That was great to see the photo being displayed as billboard sign and so happy about it. I'm closing to leaving the country so there's not enough time to do what I had to do. So I am trying to figure out what's being left for me prior to my flight. For sure it's going to be the start of my international travel blog, hehe..but I hope to travel a lot of cities. I had this nostalgia moment about a few years back when I stayed in California for over two months. It was July when WCOPA or World Championship of Performing Arts was held at Bonaventure Hotel in Los Angeles where more than 30 countries, including the Philippines participated in the said event. It was unexpected that I had to stay in the hotel in support of my brother and his son and daughters as part of the Philippine team competing in WCOPA 2009. So I had to play the part of my brother's public relation officer. 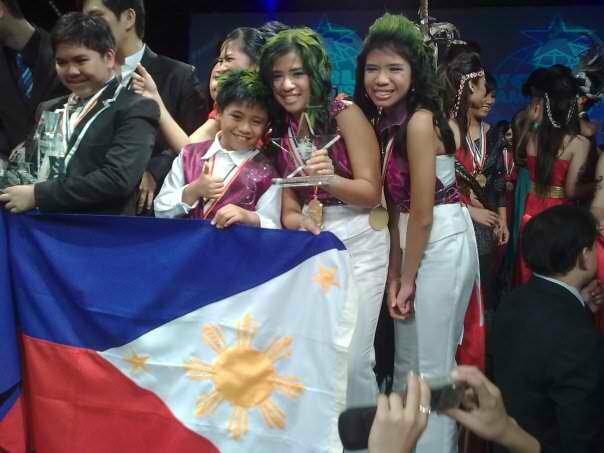 Later on, The Young Voices grabbed the Champion in the Jr. Group Division. 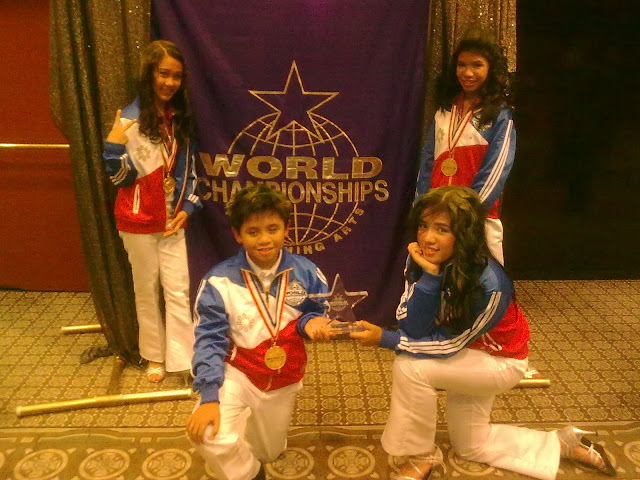 I had my hands full from day 1 to day 5 of the competition checking all the stuffs in the hotel to keep updated about the contest including their rehearsals. 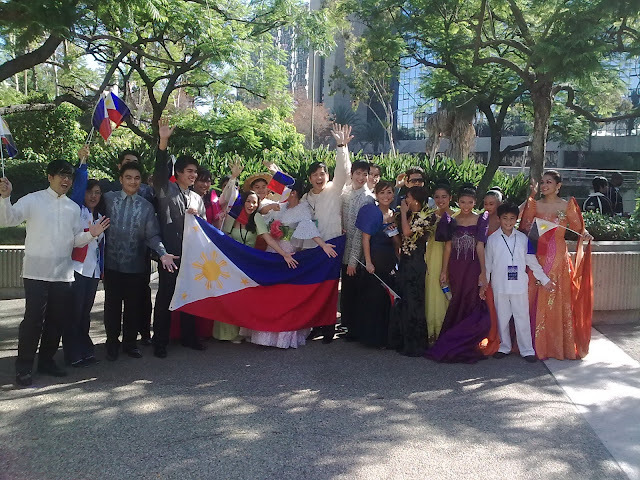 After the day when the competition ended, I was busy exchanging messages with GMA-7 correspondents both in Manila and California for the Young Voice's guestings, and T.V. 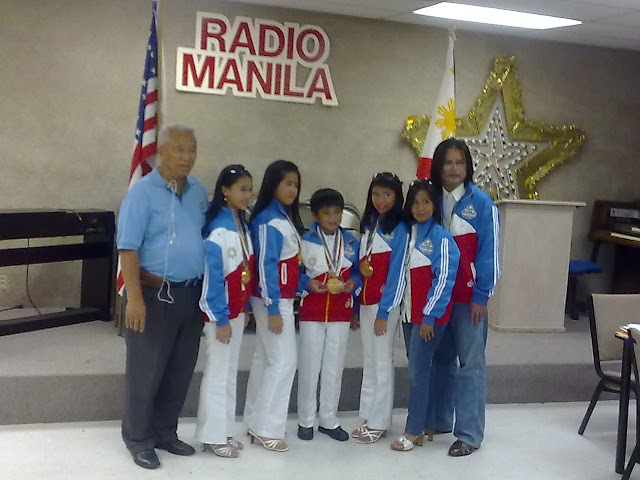 appearances, and also they had a separate guesting in the California-based Filipino radio station. We went to Hollywood to shoot an appearance on GMA-7 with Edith Montelibano (wife of Jeff Montelibano of Music and Magic) as the station's correspondent in California. Below are some of the pictures I took for them during and after the competition. Signs and synchronicities. That's how the Universe communicate to each and everyone, especially when you open a channel from the Source. And these signs are synchonicities that you will see everywhere become normal and these are just beyond control, that it has a special meaning when it comes. The messages are personalized. Sometimes, doubts and fears arise. Yes this is still normal. What you can perceive, the mind always contradict. But it is the heart that knows the truth within. Sometimes we tend to ignore these signs and forget everything that is feeding us. And this is because of the piece of ego that we have. These signs are our guiding star that the Universe, the Source, God is hearing us. Our prayers, our hopes our dreams, we can always benefit from these signs and syncs. There are various ways to open a channel from the Universe. Some will pray and meditate, exercise or maybe do some rituals. The Universe will perfectly open the channel when the students are ready. It will just come in various forms. You have to open your eyes to see it, but it's the heart that usually has an eye for it. Sometimes even when you don't do anything, the Universe will naturally give you some messages. This is a gift. But it may not be for everyone. Signs and syncs function to know that the Source knows what we need to know, because this is clearly the message we are receiving on each moment. You just have to be yourself and no need to find it, or observe for it will just come. 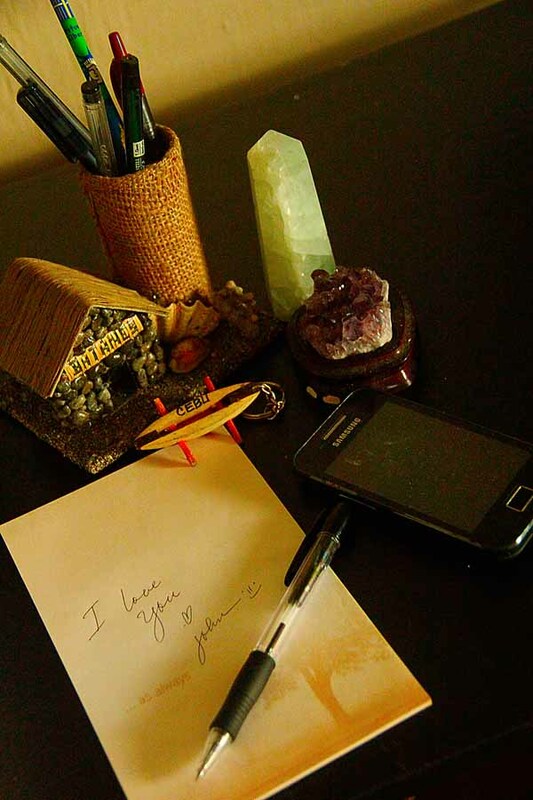 For these messages that you will receive is very unique and personalized. I don't know how to write some lines about love. All I know is this feelings keep bugging me all the time. Perhaps it's because everything was magical since I was awaken. And I didn't mean that to happen to me. Very unique kind of love, a special kind of love I have never felt before. That extraordinary kind of love I have for you is what make you special. That soulful love for you empowers me of my whole being. And if you listen to your heart, you know that I love you, and you know that it's me. You crawl into my dreams, and that every dream I have for you lets me yearn for more and wishing that every night when I am asleep you are always there for me. Yes I live in dreams, I live in fantasy where there was never ending story. The guides in heaven are telling me that it's you, that I have found you. But my mind keeps arguing against my heart which made me confuse who to believe - my heart or my mind. But I'm hurting so much because my experience was vague. It might be true for me, but not for you and what hurts me more is my fear being wake up one day, my hopes for you to love me are gone. Yes I am not expecting anything from you to reciprocate the love I have for you. GMA News and Public Affairs, the country’s leading News organization, is proud to present, LANDAS, an election special that tackles three of the most pressing issues relevant today as we gear up for the upcoming elections: hunger, health and education. This program aims to guide voters in order to be discerning of the people they will vote into office come May. Hosted by multi-awarded broadcast journalist Vicky Morales, LANDAS is a landmark production for GMA combining the documentary and narrative fiction genres. 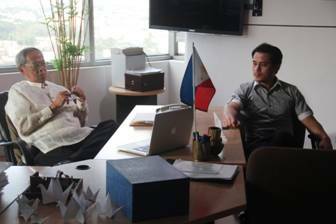 While the documentary portion delivers insightful and eye-opening features the network is recognized for, the fictional film will be reflective and complementary to the issues discussed in the documentary and will star Mike Tan, Joyce Ching, Neil Ryan Sese, Nanding Josef, and Chynna Ortaleza, among other notable actors. The documentary component of LANDAS takes us to some of the remotest towns in the country where poverty is an everyday reality. Armed with dried leaves and potions, a 103-year-old medicine man softly chants his prayers to restore the health of folks who can only repay his kindness with cassavas and bananas. This is a reality for several barangays in the South, where many residents turn to local medicine men to cure them of their illnesses --- from simple skin sores to swelling bellies. The nearest hospital is more than an hour’s walk, and most residents are penniless. A baby in another town is given coffee made from burnt rice leftovers to relieve a hungry stomach. An indigenous group relies on volunteers who teach them how to read and write. The country’s economy is said to be growing but it is yet to be felt by the poor majority. The fiction component of LANDAS tells the story of “Jay”, played by Mike Tan, who finds himself at a crossroads. Tasked to silence a Commission on Audit officer (played by China Ortaleza) who threatens to expose corruption involving the Mayor (played by Nanding Josef), it’s up to “Jay” to decide the fate of his town, and in turn, his own future. In pursuit of cinematographic excellence, LANDAS narrative fiction used high definition Canon EOS C300 Cinema cameras and lenses. LANDAS: The GMA News and Public Affairs Election Special will air on May 5, 2013 at 10:30 in the evening on GMA Network. I love this song so much and I recorded this cover song about a month ago. Popularized by Basil Valdez, it was revived by Gary Valenciano for a soap opera. One of the OPM songs I like most. 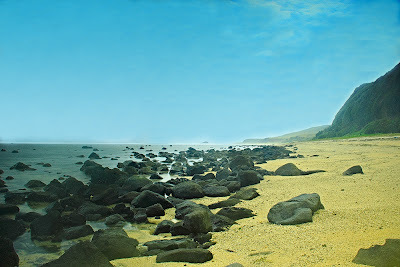 I featured the photos I shot in Batanes dated November 2011 in this video. I hope you'd find time to read these few words for you. I want you to know that I LOVE YOU.. I grew up in Cainta, Rizal and I live in this town up to present and most of my leisure time I go to the nearest mall like Sta. Lucia East Grand Mall. Since then I never had the chance to rusticate the entire Rizal Province, so I seldom visit tourist spots where you can find Daranak Falls in Tanay, Antipolo and the rest I visited recently are Pililia, Cardona, Angono, Binangonan and Morong. I was pretty much of the malls aside from the nearest one either I go to Ortigas Center or Cubao. Yes I spent most of my time in the hustle-bustle city where everyone's busy. I love to travel and if I do not go to the malls, I usually go out of town and write my experience about it in this blog. But recently I have come up with an idea to spot some tourist destinations or a sort of in the Rizal Province. The start of my journey to take Rizal seriously began in December 2012 and those were parts of my photography scene shots. I started researching some places and just the other day with the help of my friend, he recommended Tres Escalon Falls because I was looking for some places so I can take photos with the model just to give myself a try-out to take some outdoor shots for models. 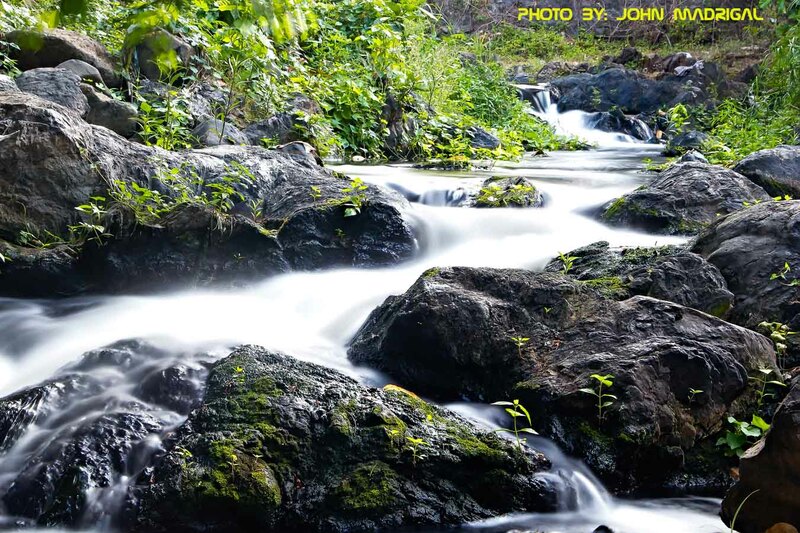 I decided to visit the place and Tres Escalon Falls is situated in Taytay, Rizal inside the Melendres Village. Taytay is the neighboring town of Cainta and I never thought I gotta find this falls since Taytay is just a few minutes away from where I reside in Cainta. Melendres Village is located on the way to Antipolo from Junction, Ortigas Extension, there are Jeepneys going to Antipolo. Upon reaching Caltex on the left side, Melendres Village is just beside the gasoline station and Tres Escalon is just a few meters away from the gate where you have to go straight ahead until you reach the basketball court on the right side of the road which is the jump off point. When you go down, there are a few stairs but trails are not established, so some rocks serve as steps going to the falls. When I visited Tres Escalon this afternoon, there not enough water in the stream as this may due to summer season. Garbage is scattered in the area and maybe it came from the residents within the vicinity. I hope they could find ways to restore the beauty of Tres Escalon as this serves as a tourist destination in Taytay where locals can be proud of this place. Up to this day I am not done yet of reading the book "The Power of Now" that a friend of mine suggested me to read. Maybe it is because I was too much preoccupied with the things I was doing and my mind could no longer process to absorb more information. What I did was, if ever I have some time, I open the pages of this book to read one at a time. And I'm not even half way through yet. From the beginning of this book it emphasizes the ego and what it can do to men, that every person has to face the "Now" situation rather than being weighed down by the past, or worrying too much about the future. That each situation entails about our own fears. Well, I haven't fully read the book yet, and I know there's a lot more than this to be unleashed as I start to read from pages to pages. I've been haunted by my own fears and that is being undeniable. Fears that don't escalate me to grow. Maybe a fear to face of what is knowing to face the truth. We all have our own truth that sometimes it's some kinda feel you uncomfortable. I have bunches of them that I am trying to deal with it as I grow spiritually. I can't enumerate them one by one so generally speaking the fears that is surfacing individuals. Let's put it this way. We are all mirrors and we see ourselves to another body and whatever things that we see either positive or negative reflects back to us. There's no problem with the positive reflection, for it brings the best of us and when we see it to others, what a joy we can feel in our hearts. But what about the negative ones? That could probably surprise you and the effects are the one causing us to be fearful. The fear to face what is the truth behind the curtain is our realization that could be challenging in our part. It surprises you to see yourself as reflection from the people around you. To see yourself in another person is an aspect that lets you to become fearful maybe because of the characters that we have for us to change and that we need to figure out how we can face this reality. The fear to face the "Now" is what makes us ought to become lethargic instead of focusing what should be done to face the problem. And that whatever happens in our past and when we think of it weighs us down and our self-esteem becomes low. That being emotional is one of the elements that lingers our own fears. It let's us become passive. This is part of our own ego self that should be tarnished and facing our own fears could let us move forward so we can make way for our own growth that we have learned from our past mistakes. Anyway I got some photo projects before I leave going to the U.S. which this kind of synchronicity made me think how the Universe work in a mysterious way. I'll just go with the flow and let the Universe takes me to the right direction as I always trust the Source since then. Honestly I had some mixed emotions lingering in both the heart and mind and I just don't know why I always had to feel this way. Sometimes I wonder if this emotion is mine or I'm just feeling someone's emotion. That keeps me hanging that I think of something then I feel sad. I am looking for the answers just to verify what's in my thought, confirm if being emotional was mine or not. I could probably be an empath. It's hard though to feel this way everyday and I would be more happy to find out where this emotion come from. without any judgement. I'll be happy if there was a sort of confirmation. I would understand more about it, and the feelings I get, should I get the lead source. Aside from these emotions that I had, often times I had this hot feet or hot flashes. I've been experiencing this one for over a year now since my spiritual awakening occurred. Too hot though and sometimes I get sun burns on my skin. Mood for today? Of course I'm quite sad, and quite happy. I was so busy yesterday on the last day of the shooting for the film "LANDAS", a GMA-7 Public Affairs and News election special which is slated to be aired in May 5, 2013. I did the photo shoots for the said film. The location shoot was held at Ninoy Aquino Park or Wild Life in Quezon City which started as early as 8 in the morning. Then we proceeded to GMA-7 for the last sequence. Honestly I love the job doing the photo shoots in films like this, although it was exhausting. But never mind being tired as long as the outcome of the shots are good. In the entire shooting period of the film, it was really nice to work with all these crews and the stars as well. I also tried to catch my breath yesterday as the scene was okay to look at with these actors. The casts include Mike Tan, Chynna Ortaleza, Joyce Ching, Neil Ryan Sese and Gerald Madrid. It's a must see film for election special. Yesterday I spent the whole day in Pandacan. I was assigned to photo shoot for "LANDAS", a GMA-7 Public News and Affairs program for its Election Specials. 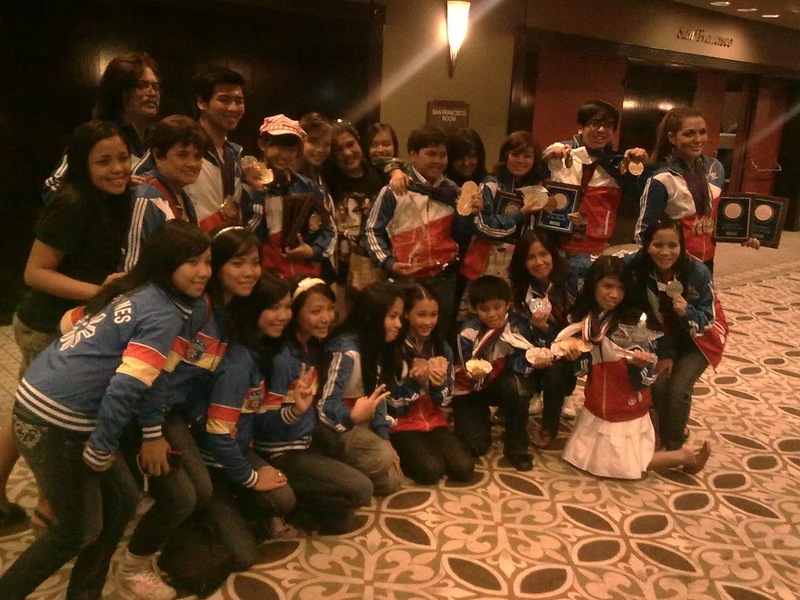 It will be slated to be shown on GMA-7, by May 5, 2013. The cast includes Mike Tan, Chynna Ortaleza, Neil Ryan Sese and Joyce Ching. It was fun to work with some of the GMA-7 crew team members and talents and one of the scenes I like most was when Mike Tan was running across the rail of the train and he collided with me when I was taking him a shot. He was apologetic when that happened, hehe. During the course of the taping, he was fun to be with, seems like he was enjoying every scene, very relax and cool and no pressure moments. It was my first time to shoot like this and honestly I am liking it. Well this really makes me to become more flexible and not just for landscape photography. And if deemed necessary, will have some more of my time to focus in this area. I will be taking more shots in the next few days and will be posting some of the photos soon. Since the spiritual awakening occurred to me almost two years ago, it seems like it was already a long journey to me. Yes, this spiritual path is a long journey indeed, full of life challenges. When you are walking through the light, there's a lot of things to be embraced with, and sometimes you meet people that you don't really expect to come into your life. You meet like-minded people on the same path, some will reach out, and some will remain silent. Some will give you support and some will not stay long. Meeting these people is not a guarantee that everything will be permanent. However the connections with them is much stronger, and you get to drink the cup of your necessity for you to grow. Sometimes, you feel the pain that no one could ever reach out their hands to you, and that some will teach you a great lesson as part of your personal growth. But at the end of the day, only few remains to be with you. You will always feel alone, but not necessarily you are a lonely person. And you will tap the beauty of the learning while you are alone. The yearning is part of the process that you will undergo in this spiritual path because your heart itself is expanding and learning you to forgive, understand, and love unconditionally. Our ego self becomes powerless once you begin to understand that everything has a divine purpose. But we are still not perfect that our ego self will find it's way to weigh you down that your mind convinces you that you have to believe in your ego. It's not easy to walk in the light. And the fears will bring you down if you cannot face it with great will. Your tears won't get away, the physical and emotional pain is always present that these become more intense that you thought is gone. Sometimes you feel the bliss of joy and suddenly you feel the sadness in your heart that you don't really know if it is yours, as you become more empath in your spiritual journey. It's hard to suppress this feelings that you think you are going nuts. There's no going back to where you came from. But only you need to accept everything that you have a divine purpose. We are all connected to the Universe and that is we connect through our heart. This is where the Source and our Higher Self communicates to us telling you some important messages. And this is part of our path that we need to embrace, and the more you accept your purpose is the more synchronicities happening in your life. But I know that one day, even if we don't really understand what is going through with us, God will always show us the way, and that no matter how hard it is in this spiritual journey, the Source will be there to lead us that we are on the right path. In this life journey, you will get to meet a lot of people. Some will stay forever, some will be in the mid-point and some will be there for you in a short period of time. Whatever purposes that these people have been brought to us, most probably we pick up some valuable lessons from them that may serve us for our own growth. Life is a full of mystery indeed that we don't really know what tomorrow is going to bring us and perhaps this could be one of your fears that is surfacing you and that is why we have to face it in the "NOW" moment and to let go of our fears. That 'NOW" is to find ways how we can face the problems and the core solutions as to what is surfacing in the present time. We are weighed down by the past and that is because we are vulnerable to fears. What is essential is to find the solutions by facing it today and we progress if we try to monitor our thoughts and actions. We always experience the passing ship in our life and that lets us evolve of who we are. We learn and we grow from our past experiences and mistakes but if we take a look back on these pasts, is what we can always assess what we have gone through in this life. We will always have these memories as we always become conscious about it. We may not be perfect and that is why we learn from the past that we can make ourselves close to perfect. Yesterday I went to Valley Golf Country Club in Taytay, Rizal. From there I had a photo shoot with the models. It was my first time to do an outdoor shot with a model, at least it was worth trying for because I have never done this before. I used to shoot some landscape and travel photography which has been my forte for years now. So I gave myself a try to take some photos for models and it did come out good. Hopefully the glamour outdoor shots would increase my chance to improve more when it comes to photography, not only focusing to one or two aspects. I will try a little bit more flexible and become well-rounded and I think I have my time to improve this craft. I find it interesting though and that is why, now I get to understand some photographers who did outdoor and glamour shots with models. These models that I did some photo shoots for are not really professional but at least they can do some glamour shots. As a photographer, there's always a room for improvement though and who knows, what I did in doing the glamour shots, the Universe has a new plan for me. I'm so addicted with Facebook and I know that I'm not the only one who is saying this. I started using Facebook account in 2008 but I was not quite active yet because during that time, I used my Friendster account often. But I'm not even addicted to Friendster as most of the time I surf the net and that was for some reasons. I seldom open my Facebook and mostly you can find my family members and closed friends in my friend's list. But when I was in the States 4 years ago, that made me a little bit more active but not into my first Facebook account. I opened another account and this has been used often up to these days rather than the first one. Of course got a few friends first until such time it multiplied and got some new online friends where communication is shared through my wall posts. I have reserved the previous account exclusively for my family members as well as my closed friends. Now, what is life for me without Facebook? Honestly, I couldn't really figure out what my answer is. Without Facebook, maybe I couldn't vent, or say what my sentiments are. And I feel so connected with some other people in Facebook that I couldn't leave them just like that. Maybe I am not updated politically, religiously and personally. Maybe, no pictures to post in the timeline or album and I believe my concentration is on my blog site writing a lot of things as I normally would. Maybe I wouldn't meet some like-minded people and the path that I am partaking would be different. There seemed to be everything in Facebook unlike any other networking sites and that is why, the community was so huge. It let's everyone to be reunited with their long lost friends, loved ones and families. It made a lot of connections that can be beneficial is some ways. So everything is in the Facebook as of this time, but we wouldn't know until when we will be able to use this networking site that is revolutionary in nature. Maybe is another site is being developed which is much better than Facebook, possibly it may be the end of the era. I would be doing something else without Facebook, maybe spend most of the time outside or doing another business. But through Facebook, my path has changed a lot, for I found my spiritual journey through this site that I could never imagined that it would happen to me. I feel very connected in the realm and some useful were installed by some people who are on the same journey as mine. And maybe without Facebook, my journey would be different. So everything happened for a reason that the Universe have ever made possible in this networking site and it served its purpose to let everyone know that through the site the journey has just begun with a single step to self realization. I was at the Department of Foreign Affairs or DFA this afternoon for my passport renewal. Over a week ago I registered online for a renewal that was dated April 12. I originally signed up online and got April 18 schedule which was the earliest appointment if you registered for their Mega Mall branch. Since this schedule was quite late for me, I took the appointment on the earlier dated April 12 but this time it is on their main branch at the Macapagal Avenue in Paranaque. I left the house at 1:30pm, for I was scheduled on a 5:30 p.m appointment. There was a long queue for both passport application and renewal and it took me about 3 hours to finish the whole process. Super long line and exhausting that made me felt that I was already hungry. If you are sensitive enough you can really feel when a person is giving you a cold shoulder, whether a person is online or in front of you. Being a sensitive, it may or may not be advantage to a person who can feel the energy, especially when he or she does not know how to moderate or control it. It becomes disadvantage when the energy is negative because you can really feel it. This is actual a sort of predicament on my part, not because I'm emotional type of a person. I can easily sense someone who is negative, because the energy is so powerful. I can sense if a person is a bit upset and the worst is when a person has a cold shoulder. It's hard to control though that I tried to surround myself with anything that is positive, and think positive. And I wonder why some of these people are cold to you, or is it just because I am not of the same caliber as them? Or because I am not in their soul group? Was they suppose to propagate goodness to oneness? That's why I am starting to feel disappointed big time, especially to some people who I look up to, respect, believe and admire. They seemed to be discriminating. These are some of the people who deliver the message of goodness but it seems they don't practice what they preach. They seemed to do that for their own interest only. That's it, I just want to be honest with what I feel. 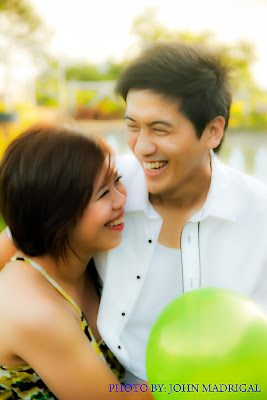 We went to Baras, Rizal yester for the pre-nuptial shots. This has been decided by the couple who will get married by next month. First we went to Palo Alto in Baras but unfortunately the falls did not yield some water due to summer. We had taken few photos there. After 30 minutes of spending our time there, we went to The Garden, it is a subdivision but the guard did not allow us to enter the subdivision where fields of flowers are located, for we have no permit in order to allow us to take some shots. Baras, Rizal is about an hour from Sta. Lucia Mall in Marcos High Way but we went straight to Cogeo, Antipolo as short cut going to Baras. This was my first pre-nuptial shot since I have never done this before and hopefully will get more wedding photo projects. The fun part of this photo shoot is how to direct the couple and I advised them just to have some fun and not to be conscious about their shots. That it's good if we can do some candid shots, not thinking there was a camera in front of them. It should look natural and just to enjoy that moment. Aside from the pre-nuptial shots, I will try a little bit of glamour or fashion outdoor shots with the models which is slated by weekend. Just at least giving myself a try, I will have to do this outdoor glam shots. What Makes Your Travel Experience Enjoyable? If your passion is traveling to different places, I'm sure that you like every moments of your journey to be memorable. You love to rusticate because each place offers a unique experience, aside from the learning you have gotten from you trips. To some, it doesn't matter how expensive it is to travel as long as they enjoyed the trip with less or without hassle of what is going to happen. Traveling doesn't have to be expensive as long as you want it and you can stretch out your budget without worrying where to get the funds out of your tight budget. That is why it is very important to plan out your trip and make sure that you'll have everything get covered by your budget. It is always best to best to project how how much you are going to spend, just before you get to the places that you are planning for. And extra cash should be allocated in case you have an emergency. But what makes your travel memorable? I am just only sharing what I have experienced and each one of us has a unique travel experience. When I travel, I always want it to be done alone. But it doesn't mean that I won't enjoy it. What matters most is your experience, whether you are with your friends or alone. There are things that are property to your traveling experience that you want to bring it with you. For me it is so important to bring your camera, and if you don't have one, your cellular phone camera might work. This is to record the places that you have been and sooner these photos will remind you about your traveling experience. If you have a blog, I'm sure you want to write your experience. With the photos that you have, you would want to post it in your blog. And I am sure also that you have a Facebook account so that you want to post these photos in your Facebook wall. You can write notes on it and describe how your traveling experience was. These are just some of the tools that you want to consider when traveling and course the experience itself is the most important aspect in your trip. In your traveling experience, some hassles are unavoidable. If the room you have gotten did not meet your expectations, that should nos suppose to affect your travel experience. Rooms are just rooms but the life of your enjoyment is outside the corners of a room. Your dining experience is part of your traveling package just make sure that you are prepared something that your stomach might ruin your trips. Choosing the right foods of what you are about to eat and you need to be extra careful on that especially the place where you take your foods. Planning what spots you want to go when you are already in your travel destination comes first so this is why, you need to organize your itinerary so that you won't miss anything that is a tourist spot otherwise if you miss it, then chances are, it might have spoiled your travel experience. It may possibly affect your entire trip. Ask the local which parts of the place are tourist attraction and they could help you for that. I am not into activities. I am just to experience what the place has to offer. Some people might want to have sporting activities as part of their traveling package. I usually want to see the scenery why I want to go to places. Nature works best for me like beaches, mountains and forests. So indulging to see the scenery are my needs why I want to go out and travel, take pictures and write my experience in my blog. This afternoon, I watched the parade of beauties at the Araneta Center in Cubao. There were 50 contestants for this year competing for the Binibining Pilipinas crown slated this April 14, 2013 live at the Smart Araneta Coliseum. Leading the parade are the reigning queens with Janine Tugonon, first runner up at the recent Miss Universe Pageant held at Las Vegas, Nevada in the United States. All the contestants are wearing a fiesta costume, and each of them are riding at the Porsche parading around the Araneta Center. They were all stunning and it's hard to choose who is going to win the title at the upcoming final night. I think this is also the 50th anniversary celebration of Binibining Pilipinas. Who do you think will be crowned? We will find out the answer next week. My experience about traveling to different destinations helped me a lot to learn more about the places, people, foods and just a bit of the culture. It also helped me to sort out where to stay and to eat foods. Likewise, the experience may be differ from person to person, depending on their preferences. Throughout my travel, the learning process was inevitable, as it was part of the packages when you go to your preferred destination. When traveling is your passion, everything may come easy as you go along. You'll get comfortable with what you do, especially when you plan ahead of time before you go to a particular place. Any course of action that should commence depends on your plans, and planning is the most vital part before you get to see these places. Traveling comes with backpacking and usually you may find yourself alone when you go to different places. This is to experience what you think you can share to others so they may also know what to do then they come to visit some places. But in my case, I have researched a lot over the internet through one's blog and that served as a tip for me what to do in the place, what to bring, and what are the do's and don't when you go to a certain part of the place. Yes, I did some researches and my experience itself was a trial and error. Anything you have done in the past you can alter it on your next stop. And what comes along with traveling, backpacking is to blog what has transpired during your visit to a place. Blogging may not be applicable to some, but in my case I have my own blog that is why I write anything that I have gained out of my travel. Your camera is your tool to take a lot of pictures to some of your interesting experience and it is through your photos that people will be able to relate your traveling experience. With blogging, you help people with what you have experienced. Likewise in this blog that I have, I love when people make a comment and make sure I answer them with what I already know. I have this aspiration to become an international travel blogger. My interest in blogging came in the year 2006 when I purchased this domain and it all started as fun. A year after, I was not able to renew the domain and somebody got this domain. In the year 2009, that was actually July, I was able to re-claim this domain and that was when I was staying in California. It was more on personal blogging though, and I did not start right away as travel blogging. Traveling has been my cup of tea since then, the time when blogging doesn't exist yet. Before, I used to write my personal notes on my small notebook as part of my diary. Yes. I've been traveling a lot since then and photography was already my passion although I did not have my own camera yet. I love to collect some of my travel photos, got tons of them but unfortunately most of them was destroyed by typhoon Ondoy in 2009. I love to blog when it comes to places, people, food and culture. And since I was into traveling and most of my blogs are my experiences in local travels, I want to expand my horizon to become an international travel blogger. It takes a lot of money though, and not a joke since I myself have experienced to travel locally. Even I have spent a lot, but the experience was worth it. And I have learned a lot from my travel experiences. It's fun at the same time educational. Being a backpacker is something you always wanted to explore how you are gonna stay or live by all means in cost and effective way. I stayed to the hostels in New York and knew exactly was it's like to be. You also have the chance to mingle with different races and I have experienced how it feels like when you get to stay in the hostel people with different cultures. Staying in New York was expensive that is why the choice is to backpack not to withstand how it's like to be, especially when you don't have your own room and the toilet is common. So I am ready to explore by becoming an international travel blogger and hopefully I wanted to visit North, Central and South America, the Caribbean islands, Europe and Africa. Asia is just a neighbor so I dream to let my blogging begin in America. I tried to blog my experience in Macao and that was in 2008 when I attended a trade show. Yes that was my first one to blog outside the country, then came in New York in 2009. Well I want to claim it now, that I would become an international travel blogger and find sponsors for my blogging. I am keeping my fingers crossed. I went to Department of Foreign Affairs or DFA today for my passport renewal. I was surprised that they have moved to a new location in Macapagal avenue. Not sure where it is but at least it has given me an idea. I just set my appointment online via passport.com.ph for the date that I have to appear to DFA. But few weeks before this, I knew it already and I signed up for renewal and I got the date April 18 which was quite a long wait. This was the one I got when I signed up to their satellite office in SM Megamall. I learned today that they also have some offices where you can renew your passport aside from Megamall they have SM Manila and Robinson's Galleria. So I set another appointment from their main office in Macapagal. I was quite tired and a bit pissed off upon knowing that you have to go to their new office in Macapagal that I thought that getting a passport was still in the same old building. The weather was so hot and I was not surprised that I got irritated with the outcome today wishing I never left home. So while on my way home, I went to the mall for my passport photo and had a chair massage from the blind masseur which made me quite better. Anyway to get a passport or if you want to renew your passport, please follow this link www.passport.com.ph and you have to set an appointment before going to DFA, and that is for your own convenience too. Some dates of appointment are full, but you may also call their hotline number at 737-1000. Make sure you know the requirements as listed on their website to avoid any inconvenience on your appointment. It's the second day of the month of April. Since this morning, I've been trying to figure out what to write in my blog and it seems that it left me clueless the whole day, and got some information overloaded. Maybe because I was thinking enough and lot's of emotional stresses going on with me the whole time. I was not busy at all except that I spend most of my time in my room surfing the net, reading my books or thinking some things to do for the next few days. Unless I have some travel schedules so I can write something about the place in my blog, but traveling is quite restricted at this moment due to some reasons. And as much as I can I did try my best not to be affected emotionally with the things that surrounds me, well at least avoid some of the negativity I am facing everyday, either in my house of whatever see things that I see in my Facebook walls. Sometimes even when I am surfing Facebook, I can also feel the vibes and the energy and it seem that I could also sense people who are seemed to be quite cold. Yes I could sense some people who are quite cold, hehe anyway I don't really care that much. We are now in the fourth month of the year 2013 and that is how the time flies so fast. Probably you may wonder that it passed the month when it was New Year when you celebrated that in January. I couldn't believe how fast it is that this will come to pass again. It is the fourth month and we are nearing the mid-year. Another month of reminding me about my April where about last year. 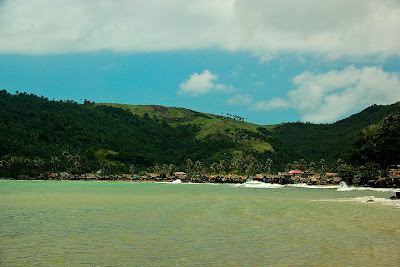 Still was in Biri Island and Marinduque the first and second week of the month April 2012. Then reminds me also with my friend we spent time together at Eastwood. Then came in the last week of the month when I went to Tagaytay and Nasugbu, Batangas. In Nasugbu I spent just some few hours and then I went home. Reminds me about the bus going to Manila when there was no seats available I had to stand for four hours. I have nothing to write a lot today, just a thought how I would spend my time for this month.